◦ Do you really need to solve it? ◦ Do you want to solve it? ◦ Is it worth the effort of trying to solve it? ◦ Can you at least potentially solve it? ◦ Is it really someone else’s responsibility to solve? ◦ Is someone else better placed or better able to solve it? ◦ Is trying to solve this problem the best use of your time? ◦ Does the problem need to be solved now? These questions are an initial thought piece before you start to invest any significant time in trying to solve the problem, or spend time trying to ensure you fully understand the problem. There are a lot of demands on your time and it is important to be sure that looking to solve the problem in front of you is a worthwhile use of your precious time. Some problems are just not worth the time and effort in solving them. You have more important things to do. Not every seeming problem needs solving straight away. Sometimes it is best to just let situations run and they will either resolve themselves in a perfectly satisfactory manner or a better time will emerge for seeking out a solution. The skill of course is knowing when it is best to leave alone and when you need to take action to stop something getting worse or turning into a crisis. Sometimes you have to spend time clearing away irrelevancies in a situation before you can clearly see the problem or the route towards finding a solution. Do not try to solve a problem if you are on an emotional high or low. Strong emotions limit our ability to think clearly about a problem, and limit our ability to see problems from the different viewpoints that might be relevant. There is significant correlation between time spent examining and clarifying a problem and the eventual efficacy of solutions and outcomes implemented. Try stating the problem in different ways or seeing it from different viewpoints. 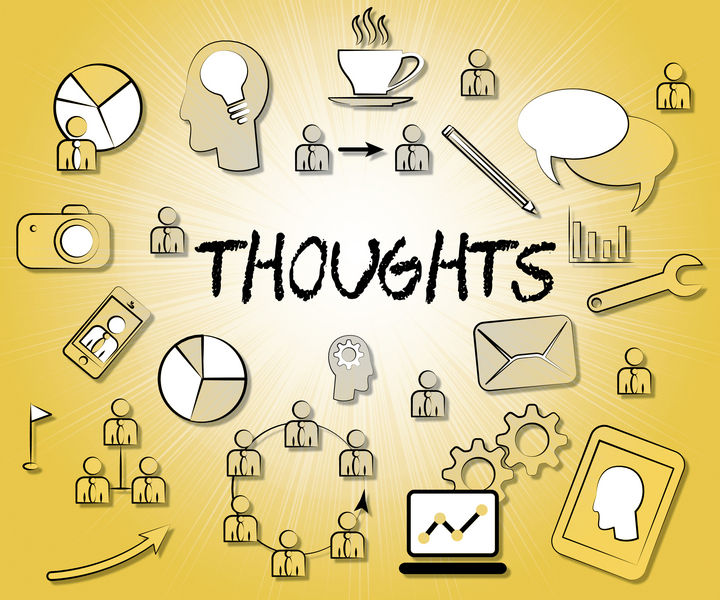 Many problems can be solved simply through being expressed or thought about in the right way. If someone is passing you a problem to solve, ensure you get from them everything they know about the problem, including precisely what the problem is and why it needs to be solved and who else you should speak to or involve. The solution to many problems lies in the circumstances of the problem itself. It is not uncommon to find that in seeking to understand the circumstances of the problem, and better understanding what it is about, that the solution becomes self-evident, or that there was no problem at all – simply misunderstandings. When problem-solving keep focused on what you are trying to achieve, the outcome you are looking for, rather than simply focusing on the details of the problem itself. Focusing on what you are trying to achieve helps you be more creative in looking at possibilities. Fix situations not people. Situations, more than individuals, are what produce difficulties, even though it usually looks as if it is individuals who are fouling up. People very very rarely set out to cause problems. Change reporting relationships, enlarge or reduce the expectations of the job, set up flexitime arrangements, ensure standards are clear and are understood, give people training, and so on. Circumstances are powerful determinants of behavior. ◦ Close out mode: once we have a preferred solution coming to the final acceptance of it and then determining the consequential actions that result. 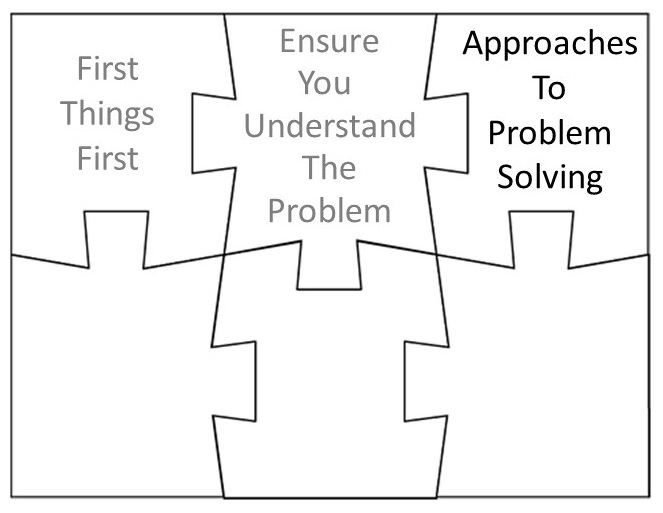 When problem solving it is very important to know or decide which stage you are in. 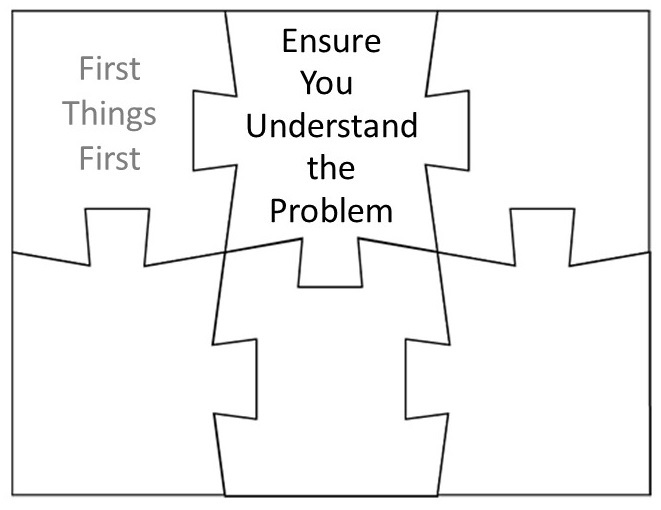 Failure to do this lies at the heart of many shortcomings when problem solving, both when personally solving a problem and when problem solving in a group. Approach problems on the basis that they will be solved once hurdles have been overcome rather than that they can’t be solved because there are seemingly insurmountable hurdles. Work on overcoming or getting round the hurdles rather than bemoaning how difficult the problem is because the hurdles exist. Having someone come new to a problem can often lead to new insights and they may notice things that those more intensely immersed in it had missed. Past experience is both an aid and a hindrance. Thus if you have been working on a problem for a long while, ensure new people are brought into your problem solving activities. Depersonalize problems. Let people know that the problem isn’t with them but with how things have turned out. If you make it clear you are looking to fix the problem and avoid similar situations in the future, without blame attached, you may find they are open about what gave rise to the difficulty. Check over any assumptions that are relevant to your problems. Assumptions are often overly simplistic. It is often the case that a change in assumptions makes a problem much easier to solve. For every complex problem there is a simple and obvious solution – and it is usually wrong. ◦ Support particular pet theories that they have. Where there is a significant degree of uncertainty and unpredictability, simple algorithms are usually more statistically accurate than experts. Think about how best to go about trying to find a solution, rather than simply launching into finding potential solutions. Sources of ideas for solutions include: brainstorming alone or with others; using checklists; talking to other people; undertaking research to derive more information; doing searches on the internet; looking through literature such as books or magazines; seeking out an understanding of what solutions have been tried on similar problems in the past. When faced with a problem, strategies that have worked in the past can get us to a solution quickly, assuming there is a genuine similarity. If not however, and we are mistaken in our belief in similarity, then past strategies can get in the way of coming up with new solutions. Look for analogies to the problem. 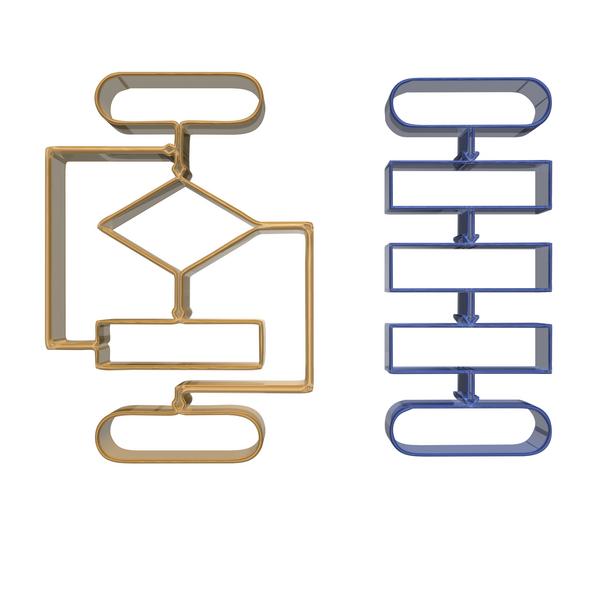 To identify potentially relevant analogies describe the problem in abstract terms, focusing on the nature of the relationships between entities rather than on the entities themselves. If you can view the problem in terms of some analogous situation you may find you have an adequate ready-made solution. However before you implement a solution arising from analogy ensure you also understand differences between the problem you are trying to solve and the analogous one; sometimes these differences will be significant enough to invalidate the analogous solution. We must of necessity rely upon our past experiences and prejudices to allow us to quickly arrive at workable solutions for most of the daily problems we are faced with. We simply do not have the time to think through in detail every problem we come across. And for the most part the solutions serve us well. However for more complex problems, ones with significant consequences if we apply inappropriate solutions, then we should take more time and adopt a structured approach to identifying potential solutions. Think of a problem in terms of the end objective in solving it. This might help put the problem in a broader light where different types of solution may suggest themselves. Arguably the most common shortfall in everyday problem solving is finding a solution, and then taking it as though it were the only solution. 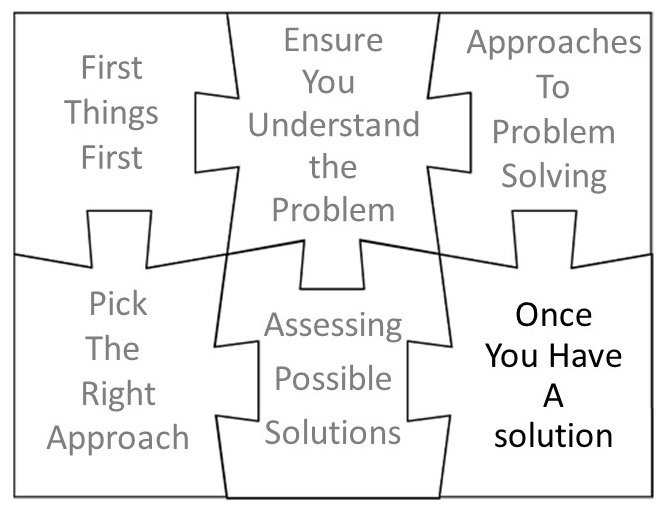 A common shortcoming in complex problem solving is stopping to look for solutions once you have a few to choose from. You need to try to search for solutions in a structured way such that you obtain an understanding of all potential solutions, even if you then quickly dismiss many of them once you start to undertake your assessment of them. Some types of complex problems are best solved by breaking them down into simpler sub-problems, and then if necessary still simpler sub-sub-problems. However we must be sure that the sub-problems, once solved, will lead to the solution of the original problem. We must also think about whether the given set of sub-problems are the best way of breaking the problem down, at least in so far as we can practically determine. There may be different ways of breaking the problem down, and some of these may more readily lead to solutions than others. Many problems relate to looking for the cause of an effect, which you do through asking and investigating ‘why’ did the effect happen. And if you identify a cause, then ask why again; is it itself an effect of some other cause. You should continue to ask yourself why and seek out root causes that are often missed by simply accepting some superficial explanation. Of course you need to stop somewhere, but it will usually become obvious when you have got to a root cause around which you can take effective action. Ensure you critically question any assumption that is making a problem difficult to solve or is preventing you accepting the validity of what might otherwise be a good solution. A way of generating alternative solutions is to look at different ways of expressing the problem or characterizing it. 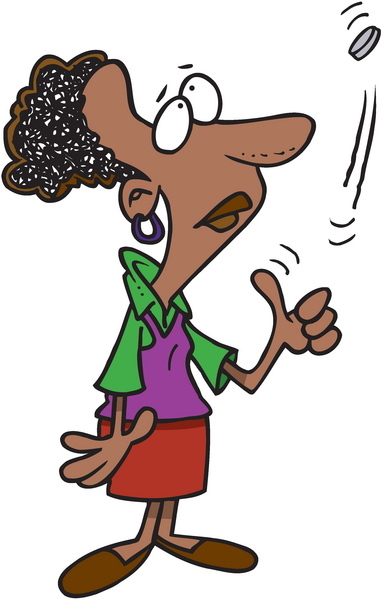 It is often useful to talk through a problem with someone completely uninvolved. Even if they say little of value, you will be using a different part of your brain to think about the problem which can prompt new insights. If you cannot find the solution to a problem then either you’ve misinterpreted the problem or you’re looking in the wrong place for the solution. Solutions are rarely about trying to weigh up all possible factors, but are about identifying and weighing up the most critical or important factors in order to arrive at a preferred solution and then checking to ensure that it has no unacceptable aspects with regards other relevant factors. When looking for information to help determine the best of a number of hypotheses seek out information that helps differentiate between the hypotheses. 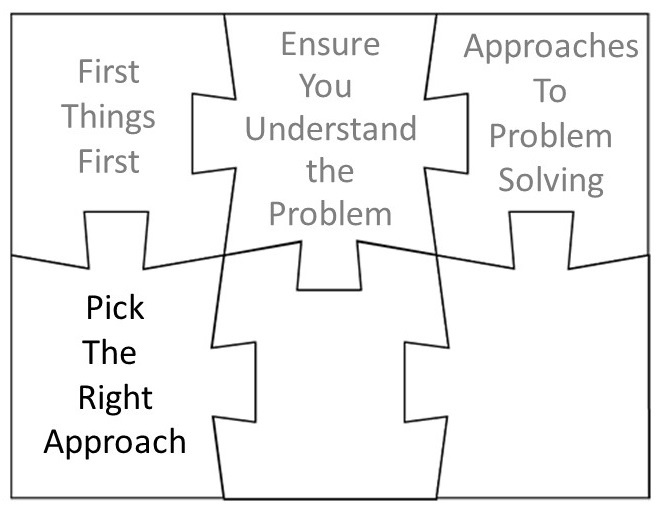 Not all problem solving needs to identify an optimal solution. If time is limited or the problem just needs a solution then options include: just selecting the first solution that appears good enough; selecting the solution likely to gain the greatest consensus; using analogy with a solution that has been used before and worked. In these circumstances however we shouldn’t claim we have the best solution, simply that we have an acceptable solution. Just because something is a solution doesn’t mean it is the right solution, the only solution, or the best solution. It is better to have a solution that is roughly right than one that is precisely wrong. One of the major shortfalls in problem solving is the tendency to stop thinking once you have a solution. If you keep thinking you may find a much better solution. A solution that was appropriate at one time is not necessarily appropriate at another time. Circumstances change. Thus just because a given solution was right last time, doesn’t mean it is this time. 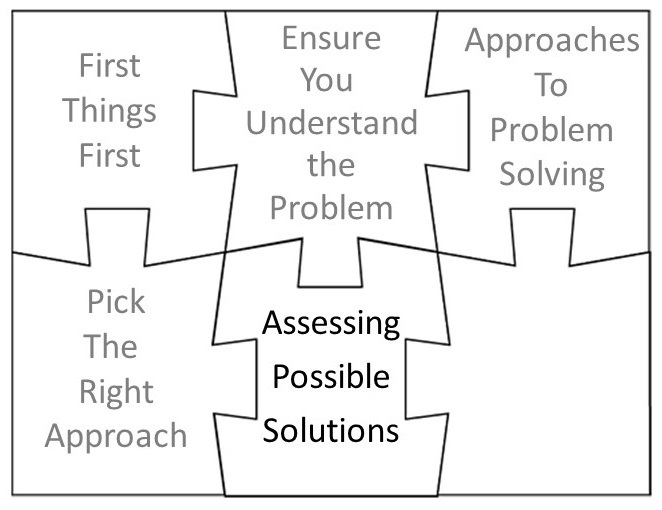 When evaluating potential solutions to problems think about how they might go wrong or fail. The best solution is often one that is not the most optimal in terms of potential gain, but the one that is most robust and resilient to future changing circumstances. 'Optimum’ solutions are often unstable solutions, in that any slight variation has highly undesirable consequences. This is because in seeking an optimal solution any slack or margins that are rarely required are removed. However under certain ‘abnormal’ or unexpected circumstances there is then no slack or margin, and behavior can then be unpredictable and possibly even chaotic. Sub-optimal solutions can be far more robust in the face of the unexpected or when circumstances change. The best solution is often not simply one of a number of proposed options, but results from taking bits from the different options. Ensure your potential solutions are capable of being implemented. Understand what specific action would need to be undertaken, and be sure it is capable of being undertaken given realistic resources and tools and in the light of obstacles that may arise. Be suspicious of continually finding yourself with similar problems despite continually solving them. It is an indication that you are solving symptoms, and that there is a deeper underlying problem that needs solving. Unless you understand the underlying causes of problems, and fix them, then fixing the seemingly immediate causes won’t bring you any long term peace. If problems keep returning despite your fixes then you can be sure there is an underlying structural problem that is not being fixed. A common failure when solving problems is poor or no follow through of the solution. Often the implementation of a solution requires a number of actions to be undertaken. All too often the identification of these actions leads to the presumption that the problem has been solved, but then no clear responsibilities are placed for ensuring adequate follow through. As a result the problem doesn’t actually get solved. ◦ Put in place a clear means for, and responsibility for, monitoring progress towards implementing the follow up actions. ◦ Compute the optimal option. ◦ Be sure of effective follow up. Many important decisions are well handled as decisions to be made, but then lose many of the benefits through lack of clarity about who is responsible for what to ensure effective follow through. ◦ Seeking a consensus option, one that everyone will agree to. With some types of decisions, weighting the different criteria against which the options will be assessed is important. Simply asking for what is important is of limited value because in an ideal world people want everything. Thus a way to get at what’s important is to ask a series of question about which is the more important between any two criteria. Mathematical techniques such as pair wise comparison, or pair ranking, provides a means for using a sequence of simple pair wise decisions to derive an estimate of overall weighting of the different criteria. When thinking through the consequences of options be wary of optimism bias relating to the consequences of the decision. Moreover people tend to overestimate their ability to predict what will happen in the future and often fail to take account of the fact that the future environment itself may be impacted by the decision made. Confrontation and disagreement can be an essential part of effective decision making. For more complex decisions there is a greater risk of poor decisions being made when everyone comes to an agreement with little or no debate than if opposing views are expressed and argued. However it is important that the participants retain respect for others and their rights to have different views, otherwise egos can get in the way of the best options being selected. Many personal decisions can be arrived at by simply listing pros and cons. Get the pros and cons written down and compare them. Strike out those that cancel each other out and then see what you have left. Leave it for a while to see if anything else occurs to you, then make a decision. Don’t agonize over unimportant decisions. They will wear you down. And don’t go seeking out lots of choices. Get to a small number of options quickly, and come to a decision quickly, then move on. If it doesn’t turn out as well as you would like, live with it, or decide to do something else. When evaluation options to arrive at a decision, keep firmly in mind what your objectives are. Not resolving a decision can lead to a bottleneck in your mind, where other decisions and actions get held up because your mind keeps returning to the unresolved decision. This can be very tiring. If a decision does not have significant consequences, or you have all the information you are likely to get, then get on and make it. Many decisions can be made quickly, particularly if the consequences of getting the decision wrong or non-optimal are not too serious. However if the decision is one that could have significant impact on yourself or others then ensure you spend more time on it, and approach it in a structured way. Trying to continually optimize our decisions takes a lot of time and effort and leads to higher expectations and generally lower satisfaction because we are continually concerned we may have missed something. Making a decision that is good enough (satisficing) on the other hand and moving on makes us feel good with much less time and effort. Be wary however of then rationalizing that decision as being the best decision. It may or may not be. That doesn’t matter. If it is good enough, it is good enough. Move on. Relying on simply heuristics or rules as a basis for personal decision making often works in a benign environment. But doing so leaves you exposed to being exploited, particularly where there are those who are seeking to do so such as salesmen, or scammers or through the bombardment of advertising we see when we switch on the TV, use the internet, or even go walking or driving about. Decisions made quickly are likely to be very conservative and likely to miss opportunities. If you think there are opportunities that could arise from a given decisions then spend a bit longer thinking about it, though also be conscious that taking too long can itself lead to loss of opportunity. You can often get a lot of benefit through talking through a decision with someone else. Not only might the other person have different viewpoints which might be useful, but the very act of talking it through often helps you realize things for yourself or things that you might have otherwise missed. It is often best to have thought it through for yourself first, and then test your rationale and conclusions with someone else. Ask yourself whether or not you have the right information to make your decision. If there is other information you need and can reasonably go and get, then actively go and get it before you decide, assuming of course you can wait. If there are time constraints on the decision then these need to be respected and you may need to simply go with the best information you can make available in the time that you have. ◦ What will happen if I do? ◦ What will happen if I don’t do? ◦ What won’t happen if I do? ◦ What won’t happen if I don’t do? ◦ If I do what do I gain?? ◦ If I do what do I lose? ◦ If I don’t what do I gain? ◦ If I don’t what do I lose? When our intuition points us in a particular direction with regards a decision, it is usually best to go with it. Our intuition is often our subconscious weighing up options below the level of our consciousness. However intuition is far from infallible and will often be strongly influenced by our prejudices. If a decision is important don’t rely on intuition alone. We are continually making decisions whether we notice it or not. We are ‘deciding’ whenever we continue with things as they are rather than looking to potentially change them. Thus a person who doesn’t make a decision when there is a decision to be made, has made a decision, whether he or she realizes it or not. There are consequences that result from us not making a decision just as there are consequences resulting from us doing so. If you can’t decide between 2 options then it doesn’t matter which you choose. Go with the one that is the more interesting or is different to what you have done before. You should of course have already assessed any risks associated with this option. If you have doubts and don’t know what to do, think carefully about pros and cons and come to a decision. If you can’t come to a decision then either option is as good as the other. Toss a coin. Go with the result, unless you instinctively feel it is the wrong choice, in which case go with the other. Ignore any further doubt and move on. Too much choice often stifles decision-making. Large numbers of options lead to confusion, are time consuming, require more effort, and often lead to procrastination. People are more likely to make choices and follow them through if there are a relatively limited number of options to choose from than they are when faced with a large number of options. Thus if you have a long list of options pass through the list quickly to get to a small number of the ‘better’ options between which can then spend more time. One way of doing this is to quickly pass through the list once, eliminate the weaker choices, and then do so again going through the reduced list. Sometimes the only choices you have are bad ones. But there is still the best choice to be made in the circumstances. Don’t worry about your decisions once they are made. If you believe a decision was wrong, you can either change it or not. If you can change it, and you believe it is the right thing to do, then do so. If you can’t change it, then make the best of it that you can. But either way don’t beat yourself up about it. There is usually a best time to make a decision or to take action. 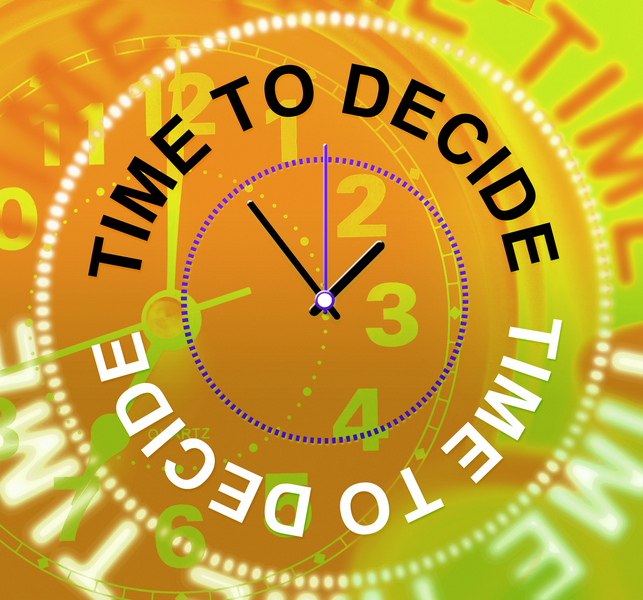 Taking a decision too early occurs when not enough time is spent getting all the relevant facts or information, or when there is some future potential event that could have a significant impact on our decision. There may be uncertainties which could be reduced or resolve themselves if the decision is left till later. Taking a decision too late is when there is not enough time to take effective action resulting from the decision. Leaving a decision till later also significantly increases the likelihood that someone else will end up taking the decision for you, in a way that may be contrary to your own best interests. If a decision is important figure out how much time you have available to made the decision, and delay finalizing the decision as long as you reasonably can within that time period. If a decision does not need to be made any time soon then sometimes it is best not to make it. Circumstances may change such that the need to make the decision goes away, or something may change that significantly effects the decision itself. Sometimes making a decision before it needs to be made unnecessarily constrains you. You often have more time to make a decision than it might at first appear. Whilst relatively unimportant decisions can be made quickly, important ones usually need time. You need the time to think them through thoroughly, seeing them from many different viewpoints, ensuring you understand all the relevant factors and potential consequences. If you feel you are being pushed into making a decision before you are ready, think through the consequences of delaying the decision to give yourself more time to think it through properly. Decisions don’t always need to be made. Sometimes things just sort themselves out. Decisions should be judged not on whether they turned out good or bad, but on whether they were made with good intent and based on whether the right process was followed. We often judge a decision to have been bad when the consequences turn out worse than we believe would have been the case if a different decision had been taken. However just because a decision turns out bad, this does not mean the decision maker made a bad decision. The decision maker should only be considered to have made a bad decision if they could reasonably have been expected to have made a better decision based on information available at the time and given circumstances extant at the time. The decision maker did not have the benefit of hindsight, so in judging them we need to consider what they knew at the time, or could reasonably have known if they had gone looking. When in the light of a poor decision the decision maker claims they didn’t know certain things at the time, this may or may not be a reasonable excuse. We need to ask whether or not they could have reasonably obtained relevant information had they gone looking for it, and ask whether or not in the circumstances it should have been reasonable for them to have gone looking. Bear in mind that it is only in hindsight they we know a given aspect was important. If at the time it was only one of many potentially important aspects, or even not considered important, then it is unfair to criticize them for not having investigated that particular aspect more so than others. Whilst the outcome of a decision may have been bad, it may actually have been the least worst of the options that were reasonably available. If you are in an environment where you could be severely criticized for a given decision, then ensure you write down your decision making process at the time. Identify the factors you consider important and the weighting you give them, and why. Write down how you score your options and the basis for the decision you come to. Preferably invite others to review this as you do it. This will enable you to demonstrate that your decision was reasonable given the understanding that was available at the time it was made. When you make significant decisions write down the basis for them at the time, then look back on them when the consequences have become apparent. Learn from outcomes you hadn’t expected. If you don’t write these things down at the time it is likely your memory will be through rose-colored spectacles. We all to a greater or a less extent, and usually to a greater, adjust what we thought we thought based on hindsight. We ‘knew that would happen’ only after it happened. People don’t set out to make bad decisions. Decisions are made based upon circumstances at the time, but those judging decisions often don’t fully understand or appreciate what those circumstances really were. You can’t predict the future and you won’t get your decisions right every time. Just make the best decision you can and don’t worry about it afterwards. It can be difficult overturning a decision or changing direction when a lot has been ‘invested in it’, and most are reluctant to do so. This can apply to individuals, groups, or corporations. Many individuals, groups, or corporations will continue to throw good money after bad in the hope things will improve. However it is very important to recognize that decisions need to be based on current circumstances – always ask yourself: “If you came to the particular situation anew, without personal investment, what would you decide to do?” Often it is obvious that you would make the changes you are reluctant to make because of your own past involvement. Be prepared to admit decisions previously made where wrong if they clearly were, and change them assuming it is appropriate to do so. 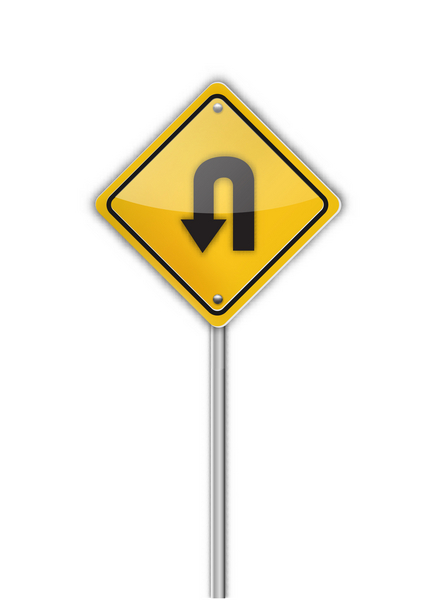 However just because a decision was wrong in the past does not mean you should necessarily overturn it. Decisions need to be made based on where you are now, and circumstances now may not be the same as they were when the original decision was made. Also the options based on where you are now may not be the same as they were when the original decision was made, and thus it may not be simply a case of ‘choosing the other option’. Sometimes you need to persist with a decision even if things aren’t going as smoothly as you’d planned or hoped. The difficulty is judging when to persist, and when to change direction. There are no general rules other than being honest about where you are trying to get to and what you believe is the best way to get there. There is no contradiction in making decisions and acting firmly on the basis of them, whilst retaining an open mind as to whether or not they are right. As new facts come to light they may confirm us in what we are doing, lead us to modify what we are doing, or lead us to abandon what we are doing. Unfortunately many people have difficulty with the concept of acting decisively whilst retaining an open mind. Making a decision is not difficult. What is difficult is making a good and appropriate decision, and one that is capable of being effectively implemented. Many approaches to decision making include a balancing of pros and cons. However not all pros and cons are equal, and except in the simplest of cases it is rarely a matter of simply totting up the number of pros versus the number of cons. It may be appropriate to score each pro and con, say from one to five, and thus sum up the pro and con scoring. You may also need to take into account the likelihood of different pros and cons occurring and multiplying this by your scores to get a value for each pro and con. Seeking the best score of different options is not necessarily the only consideration when choosing between options. A given option may be unacceptable in some way or may have risks that are judged too great. Indeed a trade-off between seeking optimum gains or benefits against how much risk to take is a frequent consideration when making many decisions. Inflation and interest rates means the value of money changes over time. Making decisions involving money over an extended period of time requires financial techniques to enable the worth of future monies to be compared to current day monies. In making decisions remember the past is past. You can’t change it. What matters is the options open to you based upon where you are now. The term ‘sunk cost’ refers to what you have already spent. Your decision of whether or not to proceed however should ignore these sunk costs and decide on the best option given where you are now. The value of something is its value now; the value it might have had in the past is no longer relevant. When making decisions we take into account both the likelihood of certain outcomes arising and the consequences should they arise. However be aware that our perception of likelihood can be influenced by what we perceive to be the consequences, and we will overestimate the likelihood of positive consequences and underestimate the likelihood of negative consequences. We are biased towards seeing things as we would like them to be rather than as they truly are. You never have 100% certainty to underpin your decisions. Get the best information you can and seek out more information only if you believe it could clearly make a difference. Think about what information might make a difference. If it is not clear that additional information would help, accept the uncertainty and decide based upon the best information you have. If there is an ethical or morally right or wrong element to a decision then you should give it additional consideration. Ask yourself what your conscience is telling you to do. Explicitly ask yourself who might be hurt by the decision, and how you would feel if it was done to you. Ask yourself about how you will feel about it later, and what you think other people might think about you if, and when, they find out. Remember you will have to live with your decisions long after the particular urgency of the circumstances have passed. Sometimes you have to choose the lesser of two evils. ◦ There is often a strong desire to come to a decision that more senior persons will be happy with, rather than coming to a decision based on an objective assessment of the facts. For decisions that are important it is essential that the potential for biases is recognized and compensated for. Decisions can be strongly influenced by how options are presented, the order in which they are presented, the personal preferences of individuals involved, and many other factors that are not a part of arriving at a balanced judgment. An openly visible means of weighing and scoring options, and the involvement of independent third parties, is usually necessary to prevent either deliberate or unconscious biases distorting the path to a good decision. The decision someone arrives at is dependent upon how they see the world, and what they see as important. Someone who sees the world in largely financial terms could well come to a very different decision than someone who thinks in terms of human consequences. We often seek the advice of experts when we have important decisions to make. However remember that experts have no magic crystal ball about the future. There are limits to what they can predict, and like everyone else they will assume the future will be like the past, which it may or may not be. An expert will believe their judgements are better than they in fact are. It’s often not what you don’t know that is a problem when making decisions, it’s what you know you know but which is in fact not so. Be conscious of the fact that the environment or circumstances or available information may change during the course of a decision making process. Keep track of assumptions and whether or not they are constant or subject to change. If they change or new information becomes available you may need to rework aspects of your decision process. Turn decisions into actions as soon as possible. A decision without action is for the most part hypothetical thinking. Our ability to make good decisions is affected by our mental energy levels. If our mental energies are low, either because we have been engaged in complex mental activities, or simply later in the day, then we will struggle to make decisions, or find ourselves making decisions based on short term gains. In such circumstances it is usually best to put off making decisions. You have a problem. List some of the questions you should ask yourself before you spend much time trying to fully understand or try to solve the problem itself. • Do you really need to solve it? • Do you want to solve it? • Is it worth the effort of trying to solve it? • Can you at least potentially solve it? • Is it really someone else’s responsibility to solve? • Is someone else better placed or better able to solve it? • Is trying to solve this problem the best use of your time? • Does the problem need to be solved now? You may well have other suggestions. Note that these questions are an initial thought piece before you start to invest any significant time in trying to solve the problem, or spend time trying to ensure you fully understand the problem. There are a lot of demands on your time and it is important to be sure that looking to solve the problem in front of you is a worthwhile use of your precious time. 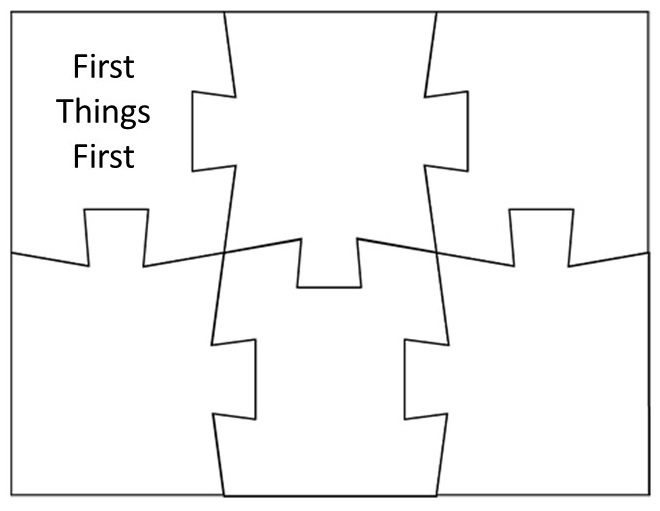 When a problem is being addressed we can think of there being 5 states of mind or stages that we and those involved can and should switch between. The first of these is “Data Gathering Mode”. What are the other 4? If you or a team working on the problem keep switching between these modes in a large random manner then you will have a lot of difficulty in getter to a rationale output. a. For every complex problem there is a simple and obvious solution – and … . b. It is better to have a solution that is roughly right than one … . 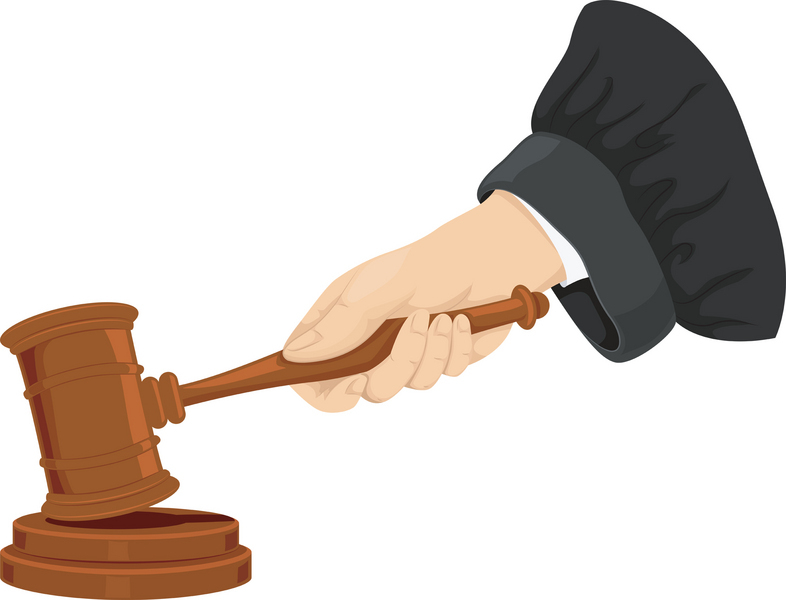 c. A decision without … is for the most part hypothetical thinking. d. It’s often not what you don’t know that is a problem when making decisions, it’s … . a. For every complex problem there is a simple and obvious solution – and it is usually wrong. b. It is better to have a solution that is roughly right than one that is precisely wrong. c. A decision without action is for the most part hypothetical thinking. d. It’s often not what you don’t know that is a problem when making decisions, it’s what you know you know but which is in fact not so. In practice, left to their own devices, people rarely choose the most logical solution or explanation, but usually choose solutions or explanations which are what? List out some of the characteristics of solutions which people often arrive at, reasons that are other than an objective and rationale assessment of the problem and potential solutions. • Support particular pet theories that they have. • What will happen if I do? What are the 3 other questions in a similar vein you should ask yourself? • What will happen if I don’t do? • What won’t happen if I do? • What won’t happen if I don’t do? A decision was made and the consequences turned out to be bad, very bad. The decision was clearly bad and the person responsible should be held to account. Is this reasonable? Yes, up to a point. It is not unreasonable that the person responsible should be held to account, however this does not mean they necessarily did anything wrong, or that they should be castigated. How decisions turn out is dependent upon both the decision itself but also upon circumstances which may have been outside the control of the person making the decision or outside any reasonable expectation that they should have done anything different to what they did. The decision is clearly bad in terms of its outcome, but it may still have been the right decision to have arrived at given the information and circumstances at the time. The outcome of a decision is always likely to be judged based on hindsight. What action can you take when arriving at a decision to reduce the likelihood of you being unfairly criticised afterwards for factors which could not reasonably have been foreseen at the time the decision was made? – Write down your decision making process at the time. – Identify the factors you consider important and the weighting you give them, and why. – Write down how you score your options and the basis for the decision you come to. – Invite others to review the above. This will enable you to demonstrate that your decision was reasonable given the understanding that was available at the time it was made. In decision making you need to ignore what has already been spent or invested, and make the decision based upon current circumstances. What term is used to refer to spends that have already been made? If you can’t decide between two choices list out some ways of getting to a decision. • Toss a coin, decide to go with it, and if you feel uncomfortable about it, go with the other. • Choose the option which is most interesting, or most challenging, or which is least effort. If in facing a decision none of your options are good, what should you do? • Choose the least worst option. • Look for more options. • Reframe the decision in a way that gives you different options.